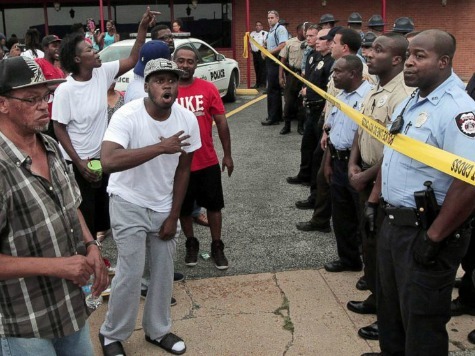 Ferguson: Do We Pull America Apart or Pull It Together? First let me say I respect and appreciate all cultures, religions and nationalities. I also wish we could all live in peace. We are now faced with a mounting crisis that will get worse as time goes by. We desperately need to have a risorgimento of E Pluribus Unum, a new national awareness campaign espousing our identity as Americans. America is being ripped apart by the inside out! The country appears to be like a tea kettle that’s been left on the burner whistling it’s about to boil over. Ferguson, MO is a tragic example of the frightening degree that law enforcement is no longer perceived as helping the community but abusing it. Society as I know it has changed–no longer is respect for elders looked at as a virtue. Today, kids disrespect their parents, their teachers, themselves and all authority. Crime is rampant and gangs rule the streets. The excuse for chaos is a gun click away. The killing of anyone is tragic but a violent response is not acceptable. This is what must first be addressed. I grew up and was always taught “two wrongs do not make a right.” The family of Michael Brown, the young man shot and killed by a Ferguson police officer, is asking for peaceful protests. We must do all we can to not incite violence, but the current crisis goes much deeper. It speaks to the fomenting of hostility in all aspects of our society and a lack of respect. Without knowing any of the facts we must not jump to conclusions. Without knowing any of the facts it appears some are waiting to revolt and resort to violence. It seems feelings of hate and fear are bubbling to the surface and, like a volcano that spurts and fumes before it explodes, we are witnessing the rumblings of what I am afraid could be riots in the street. We need an immediate hard, truthful look at and acceptance of responsibility among those influential Americans who help shape race relations. Brown’s death is tragic, as is the death of anyone. Why is there not outrage in Chicago to the youth on youth killings happening there weekly? Or anywhere else for that matter? It is too easy and disingenuous to make this a racial issue. It is a human issue! Do I think there are police officers who abuse their badge and oath “To Protect and Serve?” Yes, I have experienced it myself, when a cop was so tightly wound he practically taunted me to start something. Or when I have been pulled over there seemed an impersonal, militaristic approach to my car. If I wasn’t the kind of individual that showed respect for the badge I could have easily started an incident. But that wasn’t how I grew up. I grew up with respect for law enforcement as it was necessary to help keep the peace. Today we now see those who feel emboldened to challenge law enforcement, a showdown mentality, an internal anger. Perhaps it is because films or video games continually give example to a virtual kind of challenging behavior where you can turn the tables on the police. Or is it our educational system? In LA schools today, a student can tell the teacher to go f*&% themselves and there is no recourse but to ignore or benignly smile back and thank them for the kind words. We live in an age of no accountability! The nanny nation we are becoming is a society where many of our youth does not have a father figure. Or is it the way media sensationalizes an incident that adds to the tension? While there are peaceful protesters in Ferguson, there are also outside agitators that are causing chaos and want to fan the volatile fumes. I will echo the words of Capt. Ron Johnson, who said, “We must do this all together.” While President Barack Obama has denounced the violence and gave an excellent call for “calm and healing,” I was hoping for a more soaring rhetoric. President Obama must take this issue head on and give the cold, hard facts to the black community. He has a responsibility to not sugar coat the underlying cause of what can happen to any city in our nation. We need leaders to unite us. Where is the voice that can inspire a nation? Where is Martin Luther King, Jr.? I remember watching his funeral on TV as a young boy, weeping at the majestic site of people of all color and races marching in silence during his procession. There he lay, in a pine box, in a rickety wagon, pulled by two mules, followed by a sea of people. I thought, there, in that box, lay the totality of human struggle. We will either pull it apart or we will pull it together.